As George R.R. Martin and HBO try to figure out which (and how many!) 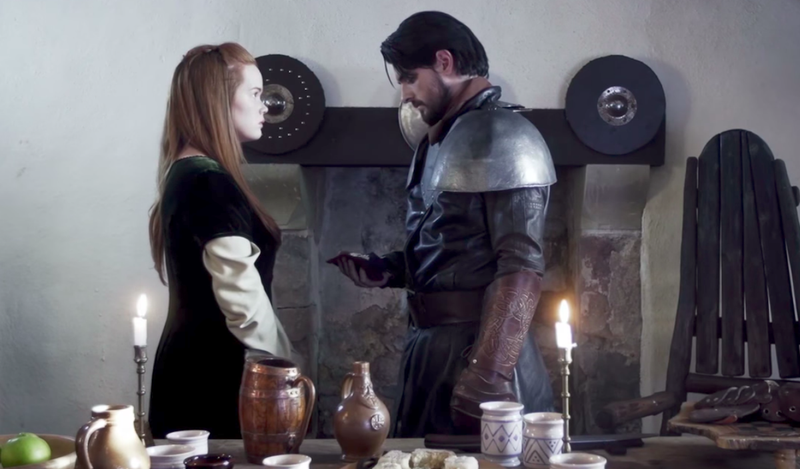 of the five Game of Thrones spin-offs they’re working on a small group of indie filmmaker in Belfast have taken it upon themselves to make their own prequel, titled “The Wild Wolf,” a short depicting Ned’s doomed brother Brandon Stark and Catelyn Tully’s betrothal, and Petyr “Littlefinger” Baelish’s fateful decision. So maybe “fan film” isn’t exactly right here, as this is pretty professional-looking! As always, there are a couple of signs that this is not an official HBO production; it’s rough around the edges sometimes, and Littlefinger seems a bit older to me than I had thought he was when the Starks and Tullys tried to ally with each other. But for having zero funding, it’s top-notch. And an eagle-eyed WIC reader noticed that Lysa as appeared on the actual Game of Thrones during the stellar “Hardhome” episode. Neat! GRRM has already announced there won’t be a “Robert’s Rebellion” prequel series, which I’m 100 percent fine with. But that doesn’t mean I didn’t enjoy “The Wild Wolf” one hell of a lot.